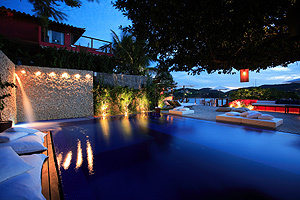 We have recently visited this new hotel in Buzios, and we were really impressed with it. 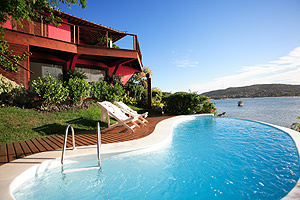 It is now one of the top deluxe options in Buzios. 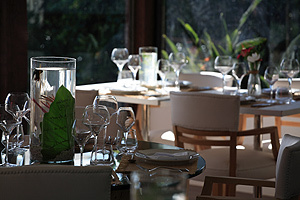 Recently inaugurated, located at Ferradura Beach. Designed to offer a more exclusive and sophisticated feeling. Built surrounded by lush green vegetation, Insólito overlooks the ocean , providing its guests a privileged view . The strong Mediterranean features of the architecture blend perfectly with the rich Brazilian design. 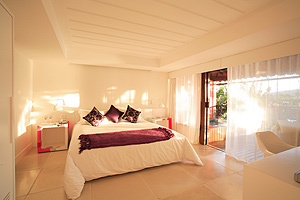 The property has twelve uniquely designed rooms divided into three categories, Superior, Deluxe, and Suite. 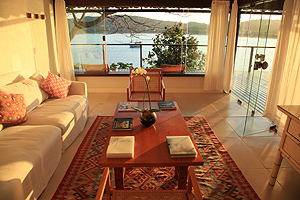 The top three suites feature large living rooms and Jacuzzis on balconies overlooking the beautiful bay. Meanwhile, the deluxe rooms come with a small garden. 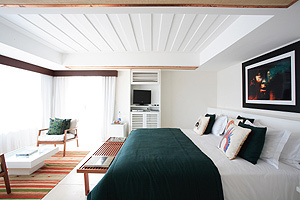 All rooms exude a Brazilian beach-chic vibe, offering Trussardie robes, air conditioning, LCD screen TVs, DVD players, and Wi-Fi internet.